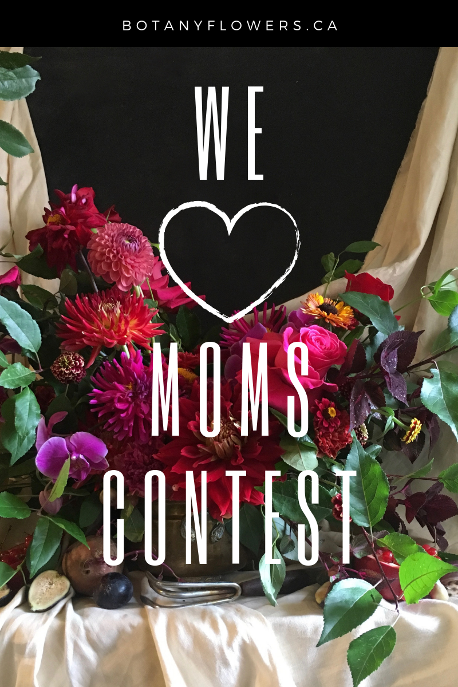 One lucky Mom will win flowers from BOTANY!! To enter our annual Mother's Day Contest, simply tell us about a Mom & why you feel she deserves flowers. It could be your mom, aunt, sister, grandmother or friend. Our Mother's Day contest ends Sunday, May 5th. The winner will be contacted and their entry will be posted on BOTANY's blog on Monday, May 6th, 2019. The lucky Mom will receive her flowers delivered to her this Mother's Day! Winner will receive cut flowers valued at $100.